I’ve been meaning to update this for a little while. This illustrates how bloody easy it is to upgrade a house to nearly five stars. It also highlights how the building industry only has to pay lip service to insulation and draughtproofing. 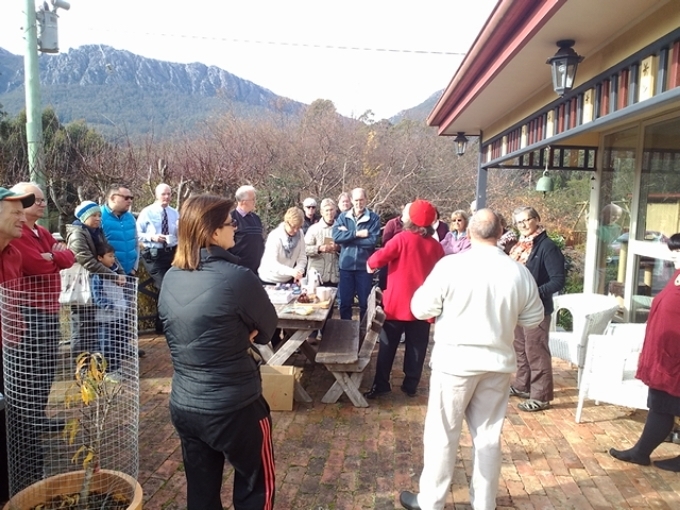 Now here in Tasmania new houses only have to have a four star energy rating. They are being dragged kicking and screaming up to five stars when most of theother States in Australia are opting for six stars. OK bear in mind that when we first moved into our bog standard 1950’s three bedroom weatherboard house we rated a measly 2.9 stars. This was done by an assessor accredited by the Association of Building Sustainability Assessors using their software. That was with pink batts in the roof and that was all in the insulation department. And now we are at 4.7 stars. No double glazing, nothing fancy. How bloody easy is it. Yet I am still seeing everyday bloody brick venereal disease houses with black tiles on the roof and a wee bit of sisilation and maybe pink batts in the roof. Builders payingthe barest minimum possible to the rules and who cares about the power bill. Steam comes out of my ears. A 2.9 Star Rating ….. Wow!! 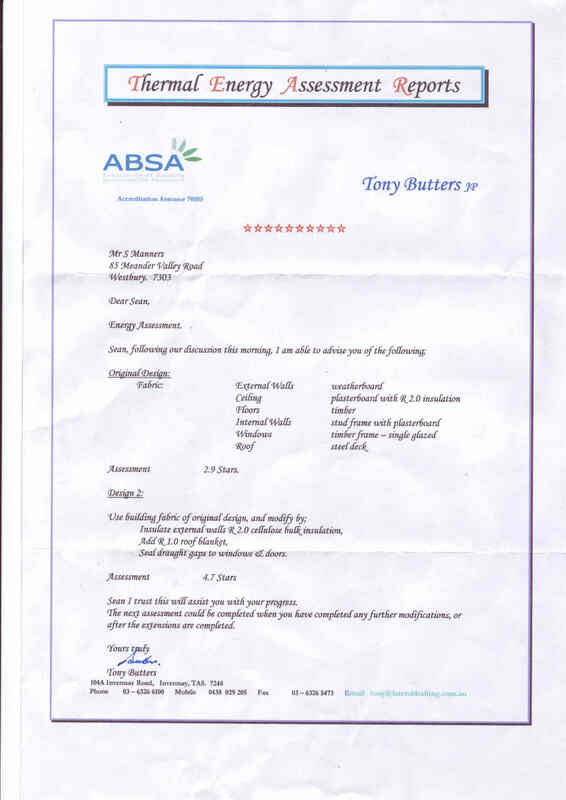 Well from August to November and we had not heard from our energy assessment person so I contacted Tony Butters from Lateral Drafting, Tony is a memebr of ABSA (Association of Building Sustainabilty Assessors) and uses AccuRate software to find out the thermal efficiency of your home. 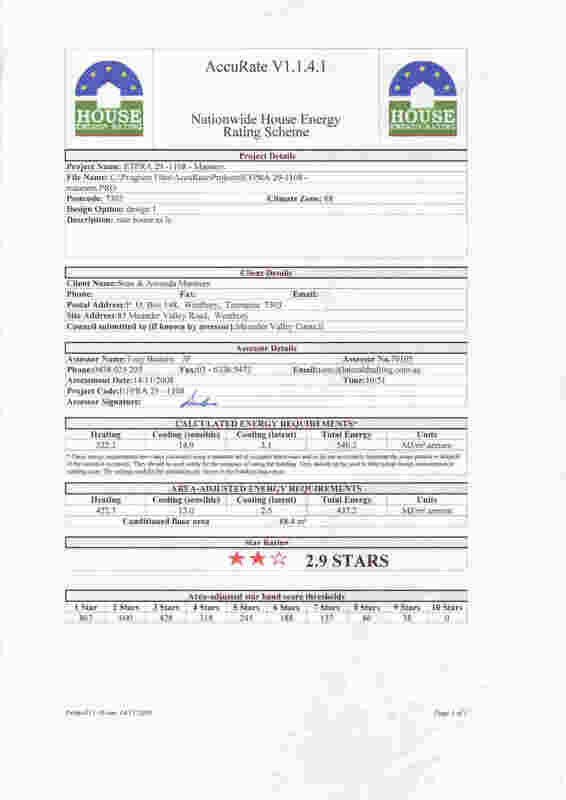 One week after a visit by Tony we had not only our star rating, which lets face it is not very high, but relatively easy ways to get it to a five star rating. I have since heard from Wayne Gorman and he has emailed me a star rating that is somewhat different. I have noticed that each assessment is based on a different size internal area and have to find out which one is correct. We will probably travel down both paths to see where they take us. they should in theory be very close.